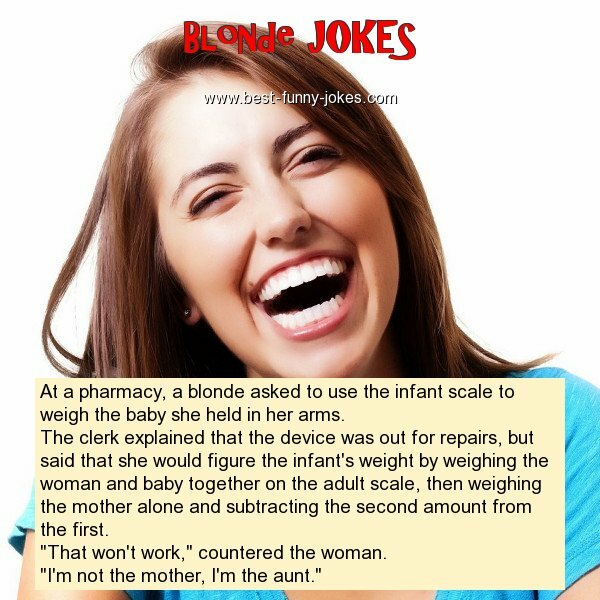 At a pharmacy, a blonde asked to use the infant scale to weigh the baby she held in her arms. The clerk explained that the device was out for repairs, but said that she would figure the infant's weight by weighing the woman and baby together on the adult scale, then weighing the mother alone and subtracting the second amount from the first. "That won't work," countered the woman. "I'm not the mother, I'm the aunt."